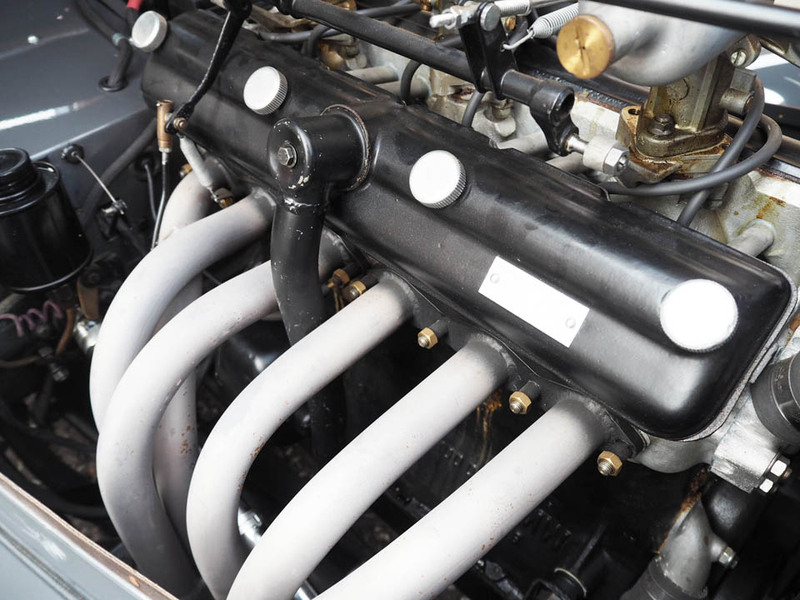 The 328’s six-cylinder engine featured an ingenious new cylinder head, designed by Rudolf Schleicher, which incorporated hemispherical combustion chambers and inclined valves without recourse to overhead, or twin camshafts. 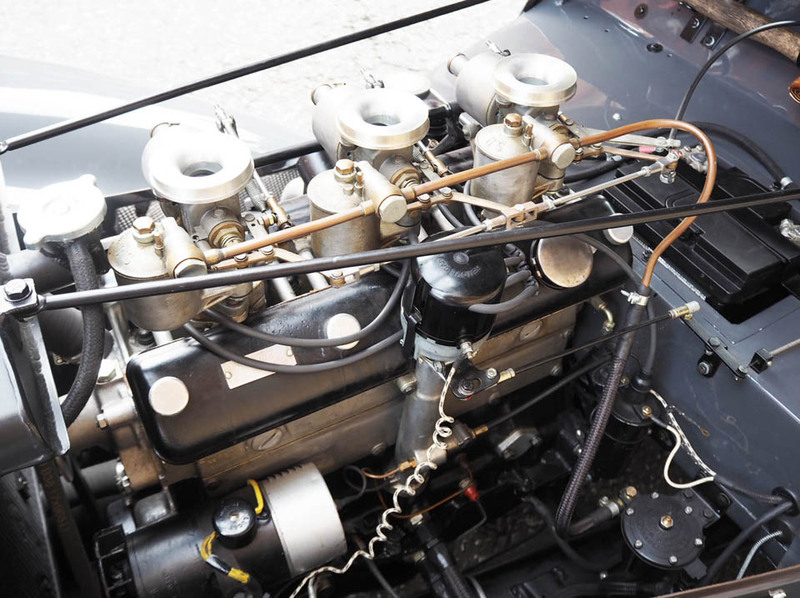 Instead, the Type 326, 1,971cc engine’s single, block-mounted camshaft and pushrod valve actuation were retained, thus avoiding an expensive redesign. Two rocker shafts were employed, one situated above each bank of valves, giving the engine an external appearance almost indistinguishable from that of a twin-overhead-cam design. 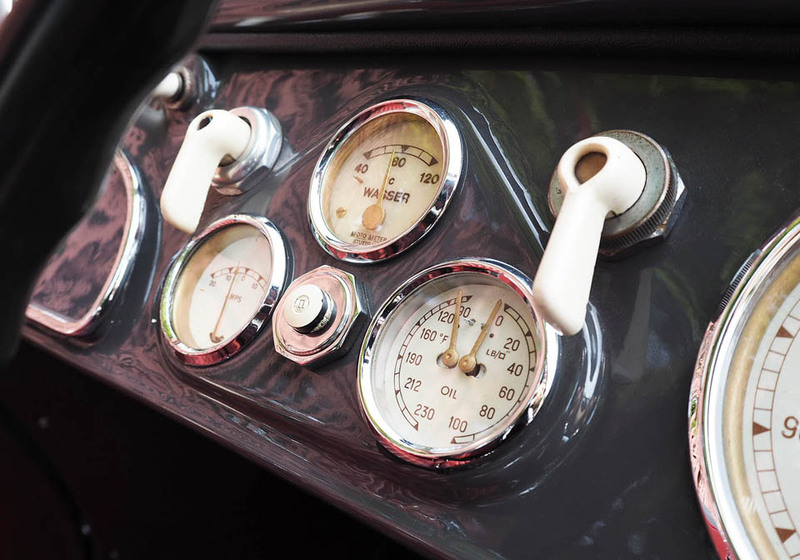 Down-draught inlet ports contributed to the motor’s deep breathing, and its tune-ability made it a popular choice for British racing car constructors, most notably Cooper, during the 1950s. The 328 engine produced 80bhp, an exemplary output for a normally aspirated 2.0-litre unit at that time, with more available in race trim. On the track the 328 reigned supreme, winning its class at the Mille Miglia, Le Mans, Spa 24 Hours and Britain’s Tourist Trophy. 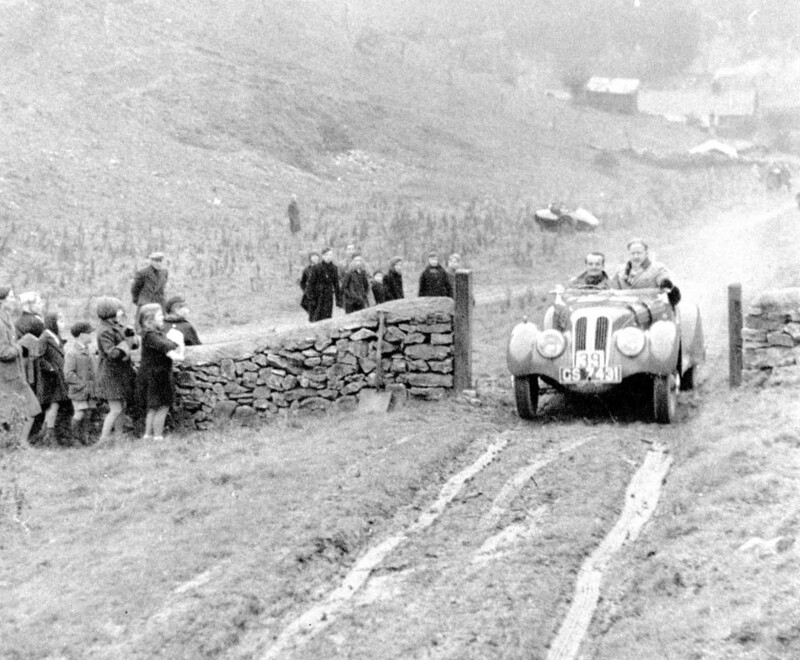 In 1940 an example fitted with special aerodynamic bodywork won the Mille Miglia outright. 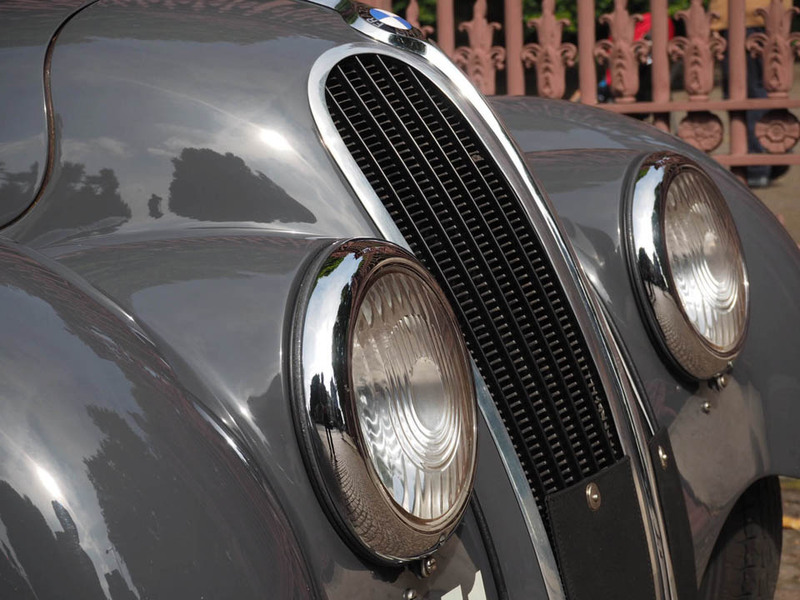 In late 1934, AFN Ltd concluded an agreement with BMW for the importation of their cars into the UK where they were sold as Frazer Nash-BMWs. 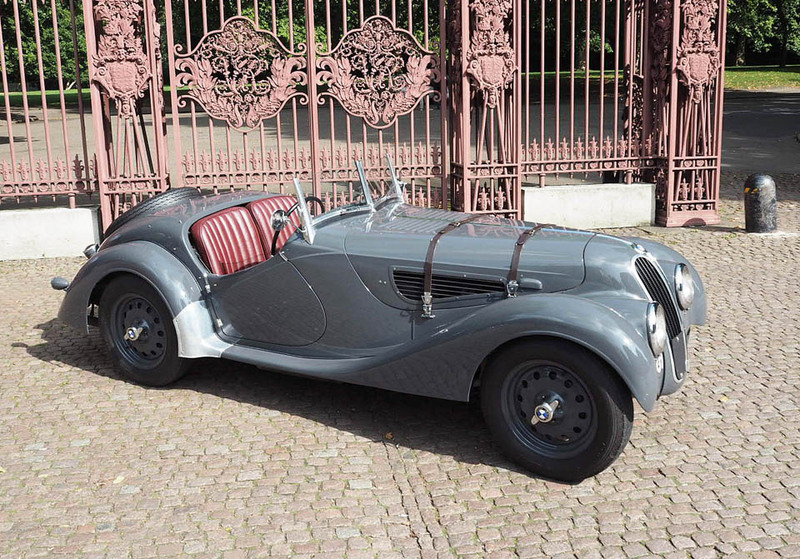 The Frazer Nash archives show chassis number ‘85034’ was supplied to an existing AFN customer, Mr. T. W. Meikle of Perth, Scotland. 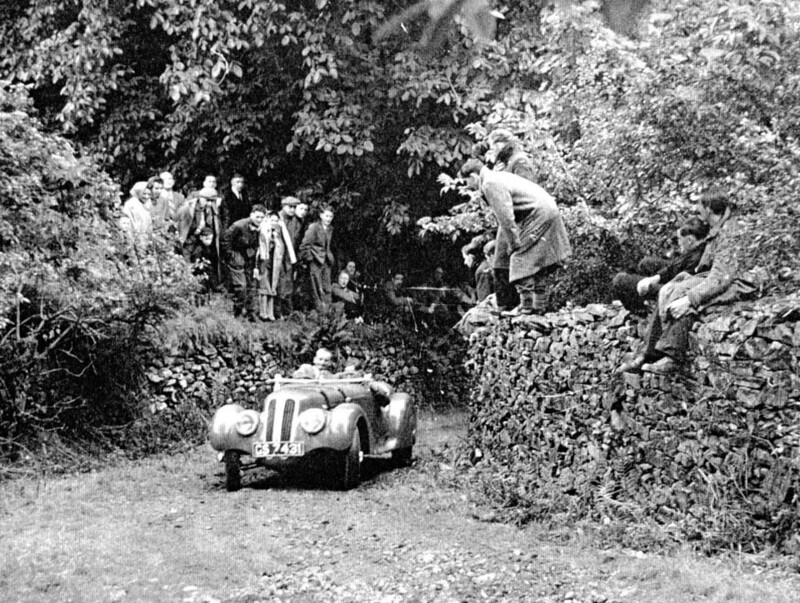 One of the first Frazer Nash-BMW 328 roadsters to reach Britain, the car was registered ‘GS 7431’ by Perthshire County Council on 14th August 1937. The 328 had covered only 338 miles when a severe accident, possibly suffered while racing. It was returned to AFN Ltd for repairs on 12th December 1937, after which it was sold to C G Buisk Esq of Newcastle-upon-Tyne. 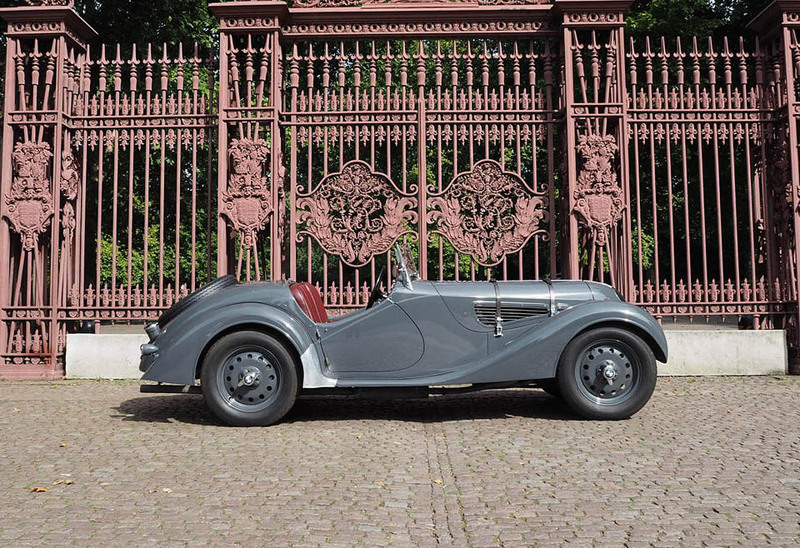 The car’s next known keeper is the famous Liverpudlian garage-owner-turned-racer Gilbert ‘Gillie’ Tyrer, who acquired it in September 1945 for £1,500, more than double its 1937 list price. 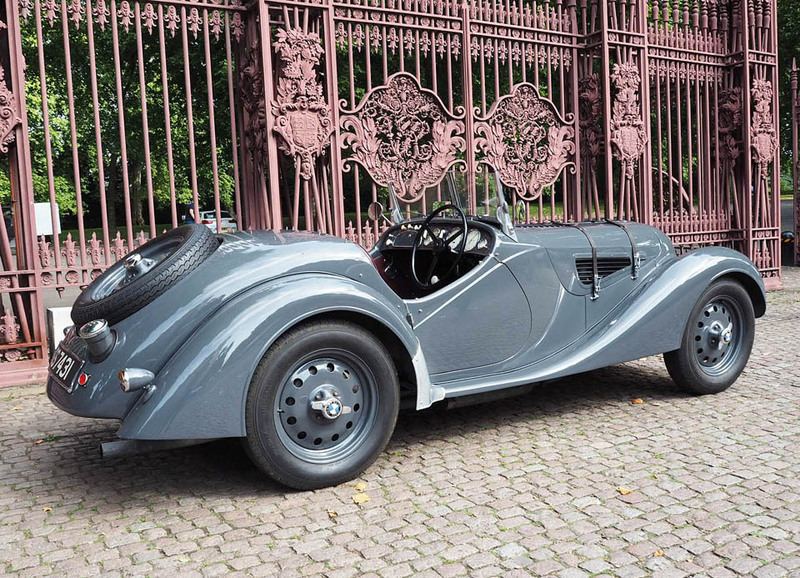 Tyrer noted that ‘85034’ was in excellent condition, adding: “Following my SS100 3.5 Litre, the BMW was considered GOOD. On collection Max 92mph, eventually 101mph”. For the next 18-or-so months Tyrer campaigned ‘85034’ in a wide variety of events including sprints, hill climbs, trials and rallies throughout Britain, collecting numerous prizes. 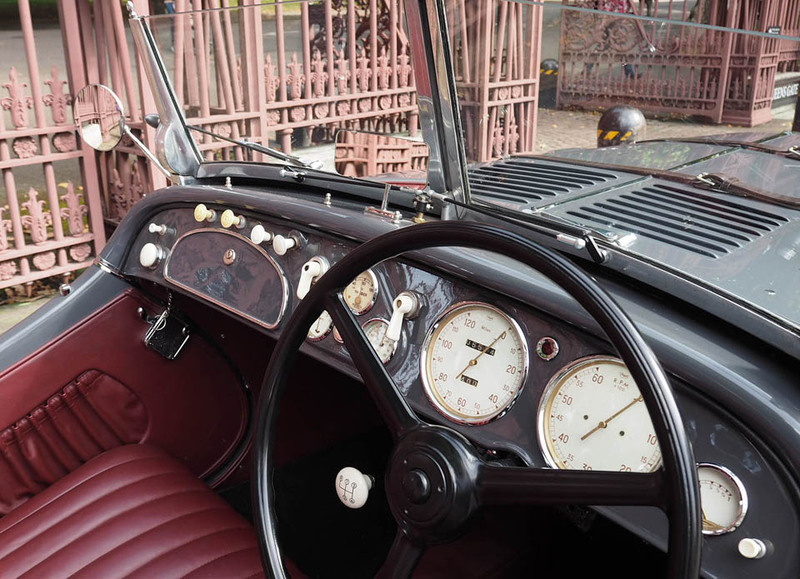 Having acquired a lower-mileage 328 (‘85301’, the 1938 Earls Court Motor Show car) Tyrer sold ‘85034’ to H Merryweather of Bailey Electroplaters Ltd, Salford during the summer of 1947. 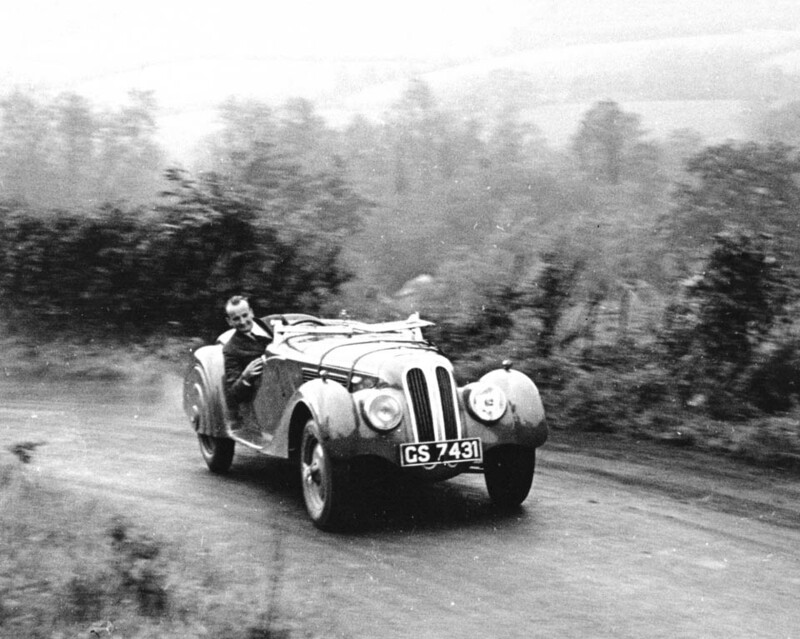 Over the course of the next ten years the 328 changed hands on three occasions (owners’ details on file) and had been stripped to component form by the time it was inherited by the last one’s daughter, from whom it was purchased circa 1970 by Frazer Nash specialist, Nigel Stoyel of Sheldon, Devon. Stoyel kept ‘85034’ until 1996 when he sold it to Anthony Harper of Bleadon, Somerset. Some restoration and repairs were included in the sale and in the process Stoyel replaced some of the bodywork. The subsequent owner, BMW aficionado Julian Bittleston, acquired the car in 2007 when it was sold by Anthony Harper’s estate. 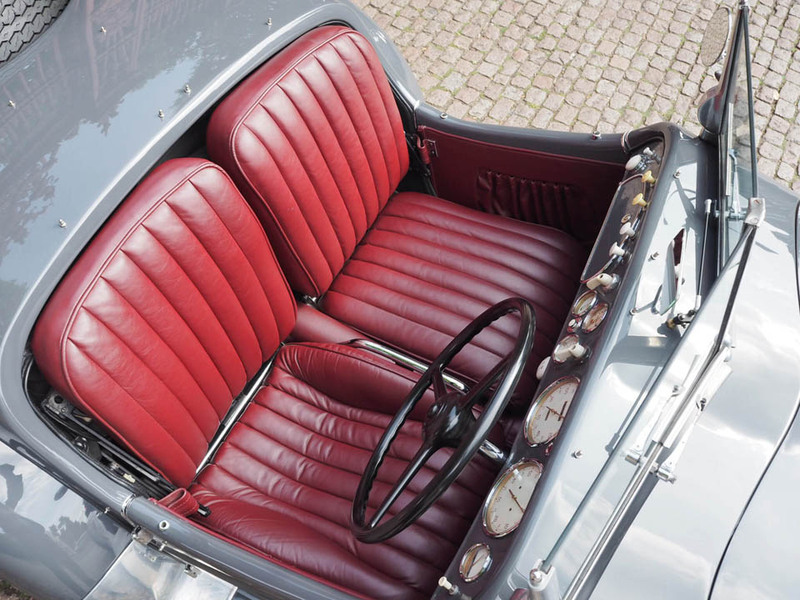 Bittleston sold it in 2008 to an Italian collector, Andrea Mandell-Mantello who used the car enthusiastically including participation in the Bassano Rally in the Italian Dolomites, an event reserved for pre- and post-war barchetta-style cars. In January 2012 an authenticity report was carried out by John Giles, known for his lengthy association with TT Workshops and Patrick Blakeney-Edwards of Blakeney Motorsport. 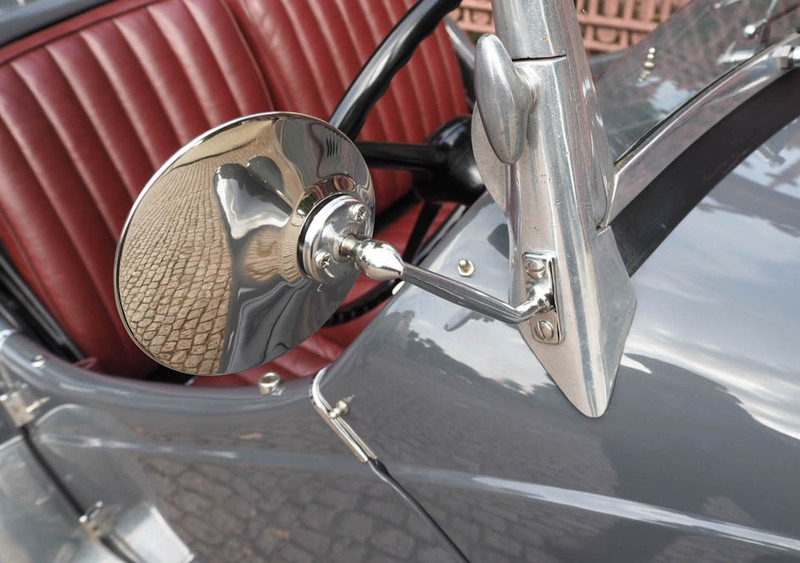 The report goes into detail as to which components of the coachwork are original and which had been replaced. The report confirms the high degree of originality in the car. Significantly all the body panels that were removed during the Stoyel restoration have since been acquired and are included in the sale. The current owner bought the car in 2012 and commissioned a complete ‘body off’ restoration by the recognised marque specialists Blakeney Motorsport. This included a complete strip down of all mechanicals down to the bare chassis. The car was then painstakingly rebuilt to correct original spec with four speed ZF gearbox and matching number engine. The electrical system was converted to 12 volts and the engine was tuned and enhanced with a counterbalanced crankshaft, sports cam, Carillo conrods, flowed exhaust, and attention to every area. The rebuild took nearly three years and the cost was in excess of £ 250,000. This work is itemised in great detail by invoice in the cars paperwork. The result is a matching number car with a period competition history that has benefited from a meticulous restoration and retains its integrity. The work carried out has been done to the highest standards that complies with all originality requirements and has greatly enhanced the cars performance and reliability. 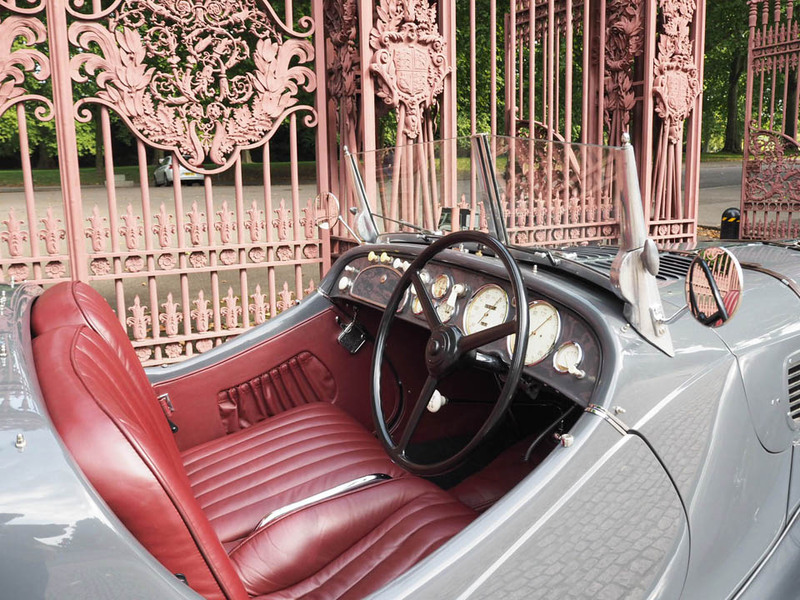 The car is offered in near concours condition in unmarked grey paint and burgundy leather with black weather equipment. In addition the car is accompanied by a wealth of history that is seldom seen with cars of this era. This includes period competition results, photos, letters, reports, invoices and magazine articles. 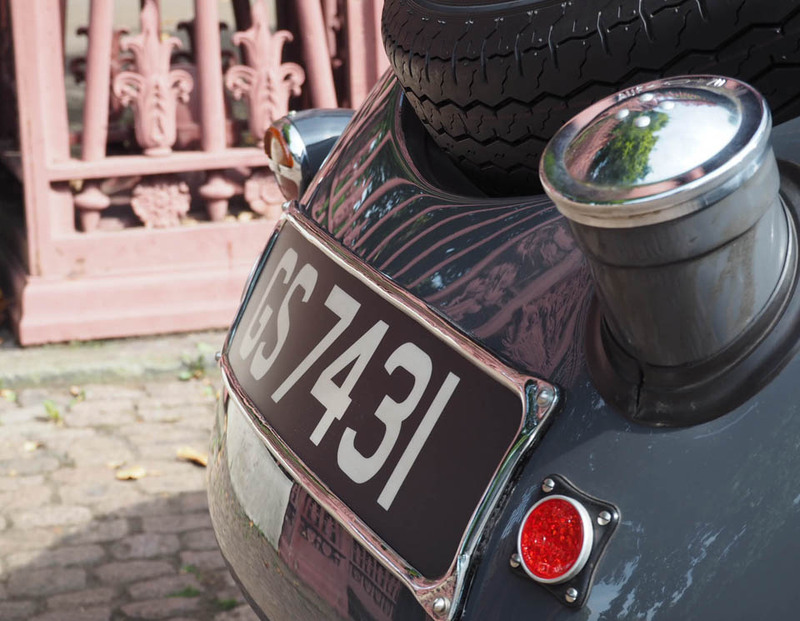 The car has retained its original registration number and comes with a FIVA Passport and VSCC Eligibility document. 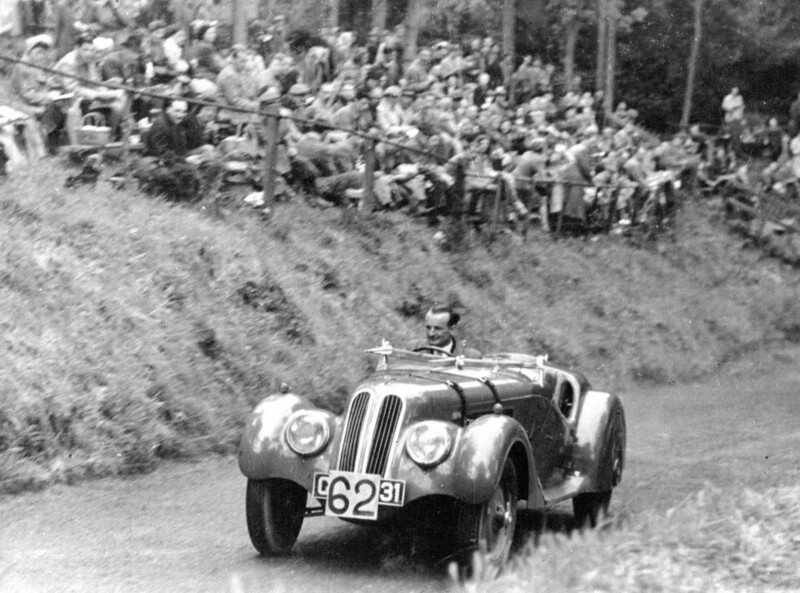 The BMW 328 is eligible for all the most important historic competition events and rallies including the Mille Miglia, Le Mans Classic, Flying Scotsman, Nürburgring Oldtimer GP and so on.